Before the rumor mill has a chance to start churning with the latest misinformation spreading via the Internet, Animal Services wants to set the record straight. Here is the truth about some criticisms already circulating regarding the newly re-designed and, we believe, improved LA Animal Services website. Rumor: There will be no 2006 annual report. Nowhere on our website does it say there will be no Annual Report, nor have we said that anywhere else. We are working on the 2006 Annual Report now and fully expect to have it available and on-line in April. Rumor: They took down the January 2007 stats that were so bad for the department. Good catch. That was a mistake made in the transition to the new website design. The numbers are back up now. Animal Services received national recognition in 2006 for our extensive public release of statistics and we will continue to make them available. Rumor: Many of the Commissioners pictures have come down. Photos of only two of the current Commissioners have been made available to us for use on our website. Those pictures are still posted. As new Commissioners are appointed and confirmed, we expect to be adding their photos. We hope to eventually have photos of all five Commissioners posted. Rumor: The minutes of past meetings–even those approved–are missing. Not exactly correct. Most of the minutes from 2005 and 2006 are posted but during the migration to the new site the minutes from December 11, 2006, January 23, 2006, May 8, 2006, July 18, 2006, November 27, 2006, November 14, 2005 did not make the transition. Two of these meetings were cancelled and there are no minutes and one meeting was a closed session and we cannot post the minutes. The minutes we can post are up as of today (February 23, 2006). We will continue to post minutes, agendas and board reports on agenda items for all Commission meetings. Rumor: Animal Services is promoting pit bull breeders. This of course is nonsense. A link to a pit bull breeder was mistakenly included on our new pit bull page. This link was immediately removed as soon as it was brought to our attention. I want to thank everyone who has brought these issues to our attention so we could address or correct them in a timely fashion. 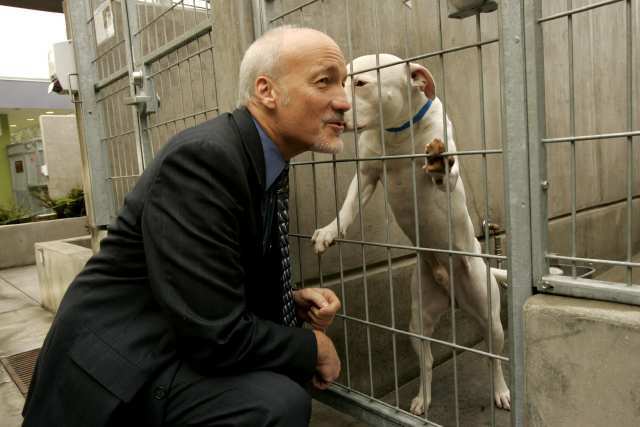 I also want to take a moment to update everyone on our recent “No-Kill Weekend.” The response of Angelenos has been so great that Animal Services has been able to extend the No-Kill Moratorium. As of today, no healthy dog or cat has been euthanized since Thursday, February 8th. I want to thank everyone in LA and the surrounding areas for your continued support in helping our City achieve No-Kill, even if it’s only for a short time! The push toward No-Kill will continue and, with your help and support, we will continue to work hard to save the lives of the animals in our charge and make No-Kill a sustained reality.